Post is celebrating National Cereal Day, on March 7th, by releasing two new limited edition cereal flavors! Known for creating Honey Bunches of Oats, Fruity Pebbles and many others, Post announced these interesting flavors to add to your breakfast menu. 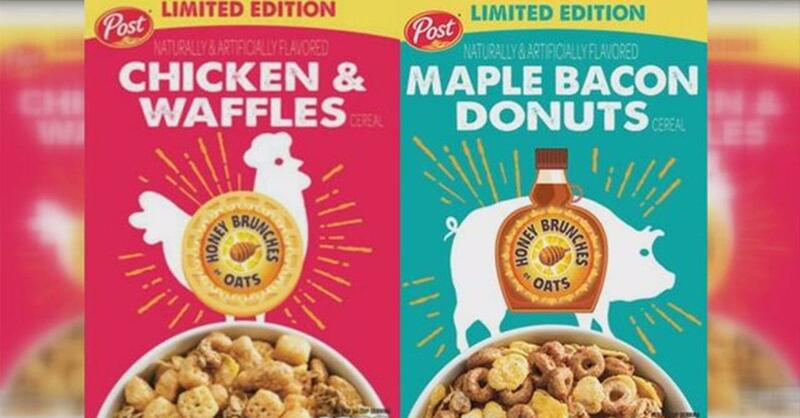 Honey Brunches of Oats – Chicken & Waffle and Honey Brunches of Oats – Maple Bacon Donut will be available at Walmart on March 7th. The product is exclusive to the store and will sell for $2.98 a box while supplies last.